Better Buzz Coffee will open its 7th San Diego outpost and 2nd Pacific Beach branch at 1186 Garnet Avenue in the heart of the beachside neighborhood. The popular local craft coffee roaster, who will celebrate its 10 year anniversary this year, will offer a variety of coffee concoctions, as well as food & smoothie options, a drive thru and an outdoor patio. Better Buzz Coffee opened its first location at 1909 Garnet Avenue in Pacific Beach in 2007 and its popularity resulted in the drive thru frequently being backed up to the point of causing traffic on the busy street. The company has substantially grown over the past few years and now has locations in Point Loma, Mission Beach, Encinitas, San Marcos, a hub at Fashion Valley Mall in Mission Valley, and its roasting headquarters in Vista. In addition to coffee and espresso drinks, including drip coffee and cold brews, the new PB Better Buzz will offer a lineup of organic smoothies and a breakfast and lunch food menu with avocado toast, grilled sandwiches & paninis, muffins, cookies, bagels and a variety of acai bowls. There will also be an outdoor patio where the company plans to host frequent events. 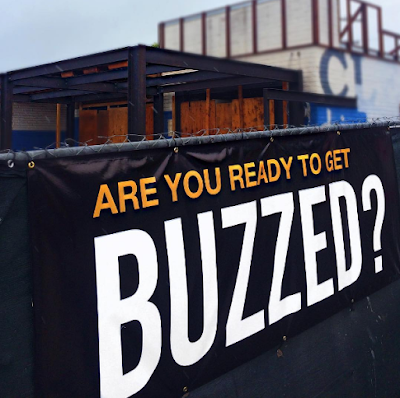 The new PB Better Buzz is anticipated to open by early March. For more information, visit betterbuzzcoffee.com.